Are WHO approved nucleic acid amplification tests causing large-scale "false identification" of rifampicin-resistant tuberculosis? 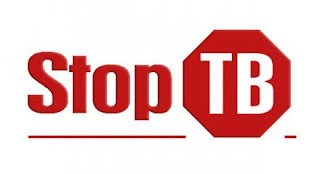 The nucleic acid amplification tests (NAATs): Line probe assay and GeneXpert (Xpert) have evolved as the primary tool for identification of rifampicin (RIF)-resistant (RR) tuberculosis (TB) worldwide, primarily because of the ease and speed. They rechecked RR isolates identified by NAATs from presumptive RR TB cases belonging to South India by the Revised National TB Control Program, India using multiple RIF concentrations on Bactec MGIT system and compared the mutation patterns with the resistance levels. Researchers state that they used standard protocol for Bactec MGIT system as given by the manufacturer modified for the multiple RIF concentrations. All the retests were done in a certified BSL3 laboratory. Astonishingly they found that there is a mismatch of up to 20% (RIF breakpoint 0.5 mg/L); the NAATs probably overidentifying RR TB. Half of the cases with mismatch showed a sub-breakpoint rise in resistance level (0.125 mg/L to 0.5 mg/L RIF). They finally concluded by stating probable reasons for the mismatch are "sub-breakpoint low-level resistance mutants," hetero-resistant bacterial populations, and other inherent test limitations along with the low RR TB prevalence in South India (<5%) among "presumptive multidrug-resistants." They also quoted, could be due to the incomplete selection pressure by an inadequate RIF exposure caused by various factors including a low-RIF dosage being used widely and poor Directly observed treatment. They concluded"To prevent the false diagnosis of RR TB in a massive scale when using NAATs, we may need to enforce a carefully targeted testing approach and a phenotypic susceptibility testing with multiple RIF concentrations for confirmatory purposes". A 61 yr old male, never smoker, no lung issues, developed GBS (guillian barre). Post IvIG therapy he was recovering well. Then the consulting neurologist noticed that he is in respiratory distress. Below is his cxr and video showing his breathing pattern. Diaphragmatic paralysis can be unilateral or bilateral. Normally the right dome of the diaphragm is higher in position as compared to the left dome, if the left dome of the diaphragm is elevated (>2 cm) diaphragmatic palsy should be suspected. Fluoroscopic examination of the diaphragm ("sniff test") very useful in diagnosing a diaphragmatic paralysis. In normal individuals, both hemidiaphragm will descend with inspiration. 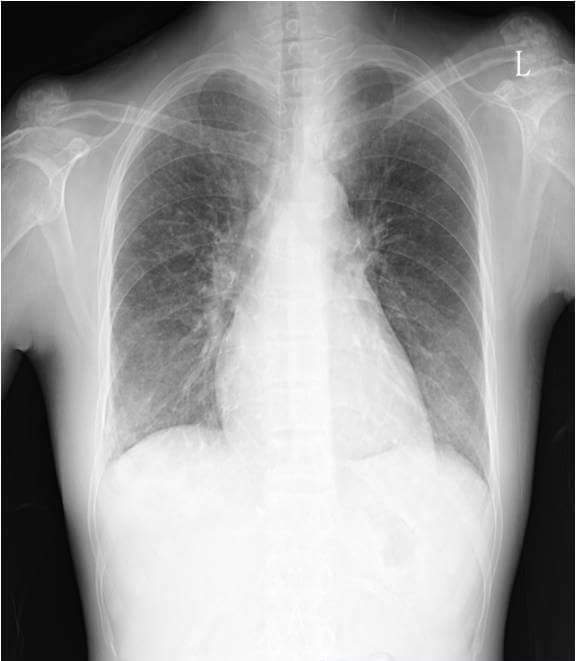 In cases of unilateral diaphragmatic paralysis, the affected side demonstrates a paradoxical upward movement. An alternative to fluoroscopy in diagnosing this condition, particularly useful in the paediatric population. Real-time ultrasound is ideal for evaluation of spontaneous respiratory diaphragmatic motion (may require temporary disconnection of the ventilator). This can be performed in the axial plane to compare the two hemidiaphragm simultaneously. Additional coronal or sagittal M-mode can help quantify the degree of movement of each individual hemidiaphragm. Diagnostic criteria include paradoxical movement, excursion of less than 4 mm, and a difference > 50% between the excursion of one hemidiaphragm compared to the other. Patients with unilateral diaphragmatic paralysis do not require treatment. There may be an option for phrenic nerve stimulation in some cases. 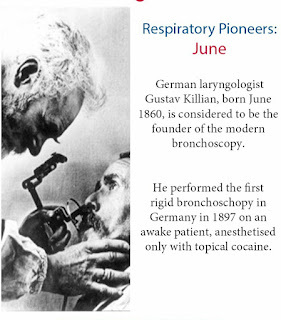 Gustav Killian (June 2, 1860 – February 24, 1921) was a German laryngologist and founder of the bronchoscopy. 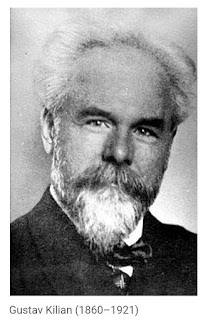 He was also born in Mainz, and educated at the University of Freiburg-im-Breisgau. He made revolutionary advances in the diagnosis and treatment of affections of the infralaryngeal passages, especially in the diagnosis and removal of foreign bodies in the bronchial tubes, by means of his new art of bronchoscopic control. His first college appointment was as assistants to Professor Hack of the chair of otolaryngology in Mainz. The sudden death of Wilhelm Hack (1851–1887) led to his succession by Killian, although he was not made professor at the time. 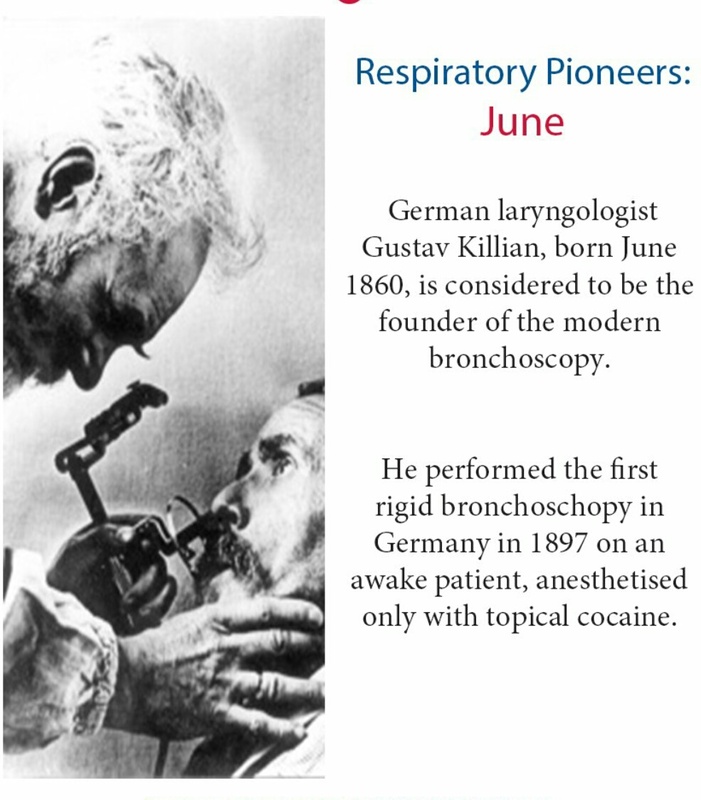 His revolutionary activity on bronchoscopy gained him an appointment as professor of laryngology in the University of Berlin; this was the first professorship of such scope in Germany. Killian introduced another innovation known as suspension laryngoscopy into the technic of his specialty. On June 23, 2017, the U.S. Food and Drug Administration approved betrixaban for the prophylaxis of venous thromboembolism (VTE) in adult patients hospitalized for an acute medical illness who are at risk for thromboembolic complications due to moderate or severe restricted mobility and other risk factors for VTE. Approval was based on data from APEX (NCT01583218), a randomized, double-blind, multinational clinical trial comparing extended duration betrixaban (35 to 42 days) to short duration of enoxaparin (6 to 14 days) in the prevention of VTE in an acutely medically ill hospitalized population with risk factors for VTE. The trial randomized 7,513 patients to either betrixaban or enoxaparin treatment. Patients on the betrixaban arm took an initial dose of 160 mg orally on day 1, then took 80 mg once daily for 35 to 42 days and received a placebo injection once daily for 6 to 14 days. Patients on the enoxaparin arm received 40 mg subcutaneously once daily for 6 to 14 days and took a placebo pill orally once daily for 35 to 42 days. Efficacy was measured in 7,441 patients by a composite outcome score comprised of either the occurrence of asymptomatic or symptomatic proximal deep vein thrombosis, non-fatal pulmonary embolism, or VTE-related death. Fewer events were observed in patients receiving betrixaban (4.4%) compared with those taking enoxaparin (6%) (relative risk 0.75, 95% CI: 0.61, 0.91). The most common adverse reactions (≥5%) with betrixaban were related to bleeding. Overall, 54% of patients receiving betrixaban experienced at least one adverse reaction compared with 52% taking enoxaparin. The frequency of patients reporting serious adverse reactions was similar between betrixaban (18%) and enoxaparin (17%). The most frequent reason for treatment discontinuation was bleeding, with an incidence rate for all bleeding episodes of 2.4% and 1.2% for betrixaban and enoxaparin, respectively. The incidence rate for major bleeding episodes was 0.67% and 0.57% for betrixaban and enoxaparin, respectively. Researchers say the global obesity problem now affects one in ten people in the world. 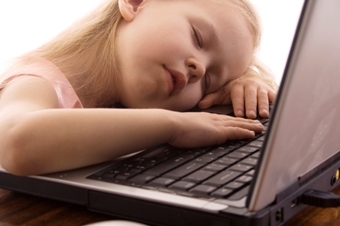 An estimated 603 million adults are obese, including 107 million children. Excess weight accounted for four million deaths worldwide, 70 percent from cardiovascular disease, and it turns out, almost 40 percent of those deaths were in people who were overweight, not obese, the study found. 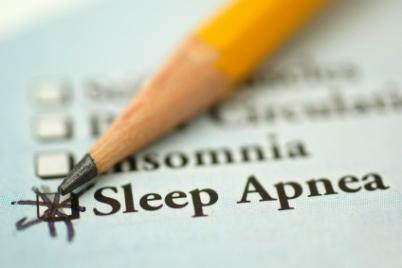 The findings were published in a study in the New England Journal of Medicine. Researchers found that obesity rates at least doubled in 73 countries between 1980 and 2015 and continuously increased in most other countries. The researchers analyzed some 1,800 data sets from around the world, and found that excess weight played a role in four million deaths in 2015, from heart disease, diabetes, kidney disease and other factors. About 30% of the world’s population is affected by weight problems. Individuals were classified as overweight if their body mass index was in the 25 to 29 range, while obesity is defined as anyone with a BMI of 30 or more. 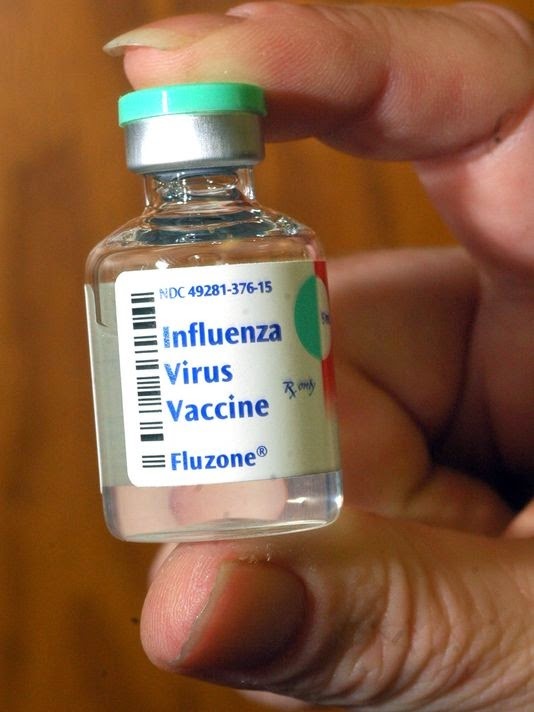 The World Health Organization's (WHO's) flu vaccine advisory group today recommended changing one strain—the 2009 H1N1 component—for the Northern Hemisphere's 2017-18 flu season, which mirrors a recommendation it made last September for the Southern Hemisphere's upcoming season. Also, the advisors reviewed the latest genetic information about recent avian and other zoonotic flu viruses and recommended two new candidate vaccine viruses for H7N9 avian flu, plus three new ones for other potential pandemic threats. The new H1N1 vaccine strain, called A/Michigan/45/2015, replaces A/California/7/2009, which has been in use as a vaccine strain since the 2009 H1N1 virus became a regularly circulating seasonal flu strain after the 2009-10 pandemic. WHO advisors recommended it for the Southern Hemisphere's 2017 vaccine to improve protection against subclades that emerged last year. Since September 2016, 2009 H1N1 has circulated at very low levels in most parts of the world, with most viruses belonging to subclade 6B.1, with a small portion of them in Asia and Oceana part of subclade 6B.2. Though tests on ferret sera showed that most recent circulating viruses were antigenically similar to both the California and Michigan vaccine strains, tests using human sera hinted at a possible gap in protection from the California strain among the adult samples. For quadrivalent versions that contain two influenza B strains, the WHO experts recommended adding Phuket/3073/2013-like virus, a Yamagata lineage virus that is the second B component of quadrivalent vaccines for both the Southern Hemisphere's past and the Northern Hemisphere's current season. H3N2 has been the dominant strain globally over the past several months, and the WHO said circulating viruses within the 3C2.a clade have become genetically diverse but remain antigenically similar to the current vaccine strain. As vaccine advisors assess the need for new seasonal flu vaccine strains, they also look at the latest zoonotic influenza strains to see if any new candidate vaccine viruses are needed to assist with pandemic preparedness. At a media telebriefing yesterday to address China's recent surge of H7N9 activity and recent genetic changes, officials said the virus has diverged into two distinct genetic groups, which would likely have implications for candidate vaccine viruses. Today the group said that recent H7N9 viruses fall into the Yangtze River Delta (YRD) or Pearl River Delta (PRD) hemagglutinin lineages, and that two existing candidate vaccine viruses don't seem to protect against recent YRD-lineage viruses. They proposed a new candidate vaccine virus to protect against those viruses. Also, they said the newly identified highly pathogenic H7N9 viruses isolated from poultry and people are genetically and antigenically distinct from other H7N9 viruses, including recommended candidate strain, including the newly proposed one. Therefore, the group recommended a new candidate vaccine virus to protect against the highly pathogenic H7N9 strain. The group also recommended three other candidate pandemic vaccine viruses, two against recent variant H1N1 strains and one against the recent H5N6 virus circulating in Japan and South Korea. Another option would be to see of some H7N9 viruses cross-protect against both lineages. GOLDEN POINT: The most common sources of septic pulmonary emboli are infected venous catheters, including pacemaker wires, tricuspid valve endocarditis, septic thrombophlebitis and indwelling prosthetic devices. The diagnosis is usually established by positive blood cultures and the presence of an infected source for the emboli. Watch the HRCT video showing septic emboli. 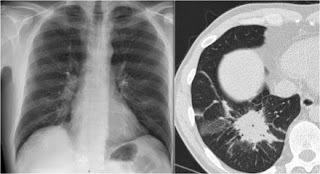 GOLDEN PEARL: The usual radiographs and CT scan demonstrate multiple pulmonary opacities. The opacities may occur in any portion of the lungs but are usually maximal in the lower zones. The lesions are usually either round in shape or show the shape of a pulmonary infarct, namely a wedge-shaped density base on the pleura and pointing to the hilum. 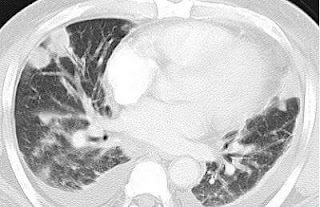 They may have any size and frequently cavitate, a feature more easily recognized on CT. Air-bronchograms are frequently seen, particularly on CT, in all types of opacity, including the nodular lesions. The combination of multiple peripheral nodules or wedge-shaped consolidations, some of which are cavitated, and a distinct feeding vessel in the appropriate clinical setting is highly suggestive of the diagnosis of septic emboli. Watch the video showing the removal of the leeches From the respiratory tract. Two leeches were in the respiratory tract, video shows removal of one live leech from the airway, the other can be seen in the airway at the later part of video. “researchers now say it may someday be possible to quickly confirm” lung cancer “after a CT scan, by using a simple nasal swab.” The investigators “identified a pattern of 30 genes that were active in a different way in people confirmed to have lung cancer from those who were not.” The findings were published in the Journal of the National Cancer Institute. They identified 535 genes that were differentially expressed in the nasal epithelium of AEGIS-1 patients diagnosed with lung cancer vs those with benign disease after one year of follow-up . Using bronchial gene expression data from the AEGIS-1 patients, they found statistically significant concordant cancer-associated gene expression alterations between the two airway sites . Differentially expressed genes in the nose were enriched for genes associated with the regulation of apoptosis and immune system signaling. The study examined all patients referred consecutively over a 12-months period for specialist assessment of asthma at the Respiratory Outpatient Clinic at Bispebjerg Hospital in Copenhagen. 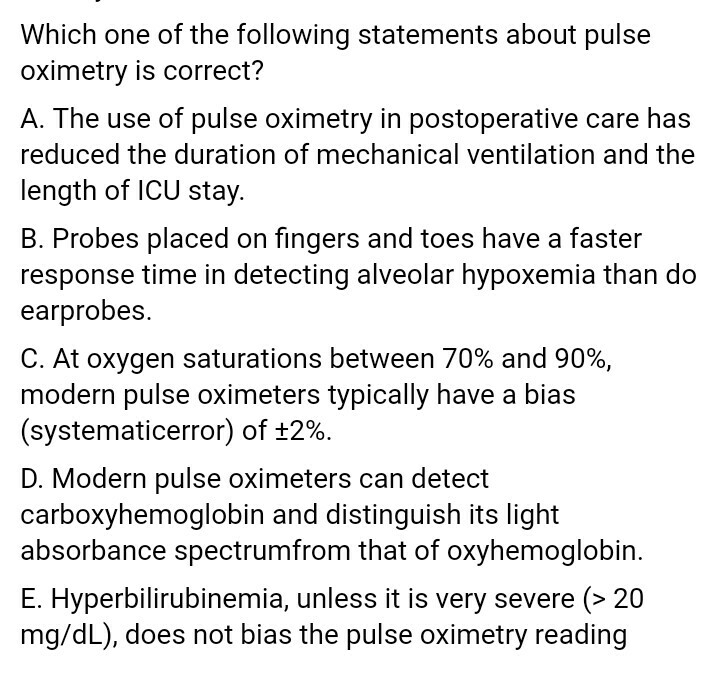 All patients were examined with the Nijmegen questionnaire with a DB defined as a score ≥23 and the ACQ questionnaire. Asthma was defined as asthma symptoms and a positive asthma test. Asthmatic patients with co-existing DB had a poorer asthma control compared to asthmatics without DB . A regression analysis showed that the effect of DB on asthma control was independent of airway hyperresponsiveness or airway inflammation in patients with DB. According to a study published in Thorax, “each additional daily serving of fruits and vegetables that smokers and former smokers eat is associated with a 4 to 8% lower risk of their developing chronic obstructive pulmonary disease.” The Times says the study “looked at more than 44,000 Swedish men, ages 45 to 79, who completed detailed health and dietary questionnaires.” The study found that “men who ate five or more servings of fruits and vegetables a day were 35% less likely to develop lung disease than those who ate two servings or less.” Meanwhile, the study found no benefit for nonsmokers. study published online in the New England Journal of Medicine suggests most individuals who have drug-resistant tuberculosis caught it from someone else. 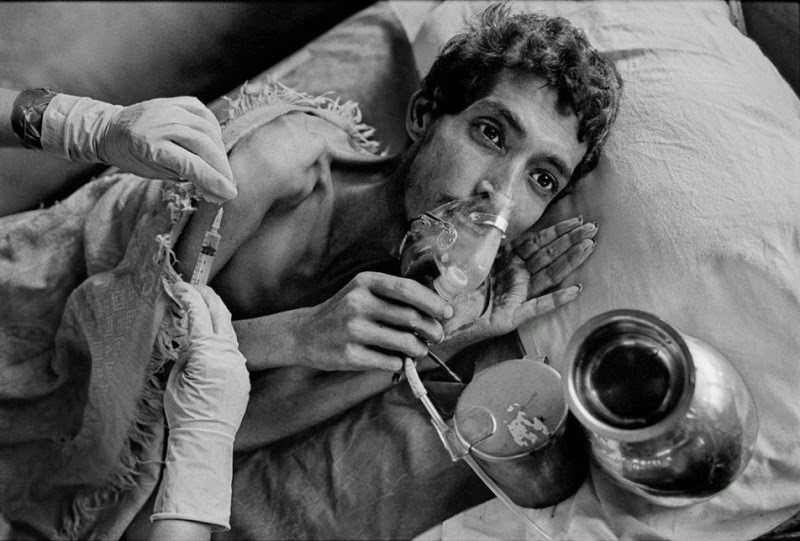 In the past, some experts and physicians believed that drug resistance resulted from ineffective treatment with tuberculosis medications. The study was conducted in KwaZulu-Natal, South Africa. This study might be a eye opener for the prevention of transmission of disease to the health care workers by the drug resistant TB patients and also the family members of the patients who are at a highest risk. Recently in our practice we encountered a young nursing student in her teens, who contracted MDR tuberculosis and had to be put on standard TB regimen for MDR. In preparation for the 8th edition of the TNM classification for lung cancer the IASLC and their statistical partners at Cancer Research And Biostatistics (CRAB) established a new data base (5). This collected data on another 94,708 cases of lung cancer diagnosed between 1999 and 2010, treated by all modalities of care, donated by 35 institutions in 16 countries around the globe. After exclusions 77,156 remained for analysis, 70,967 cases of non-small cell lung cancer (NSCLC) and 6,189 cases of small-cell lung cancer (SCLC). Analysis of the cases of NSCLC has allowed proposals to be formulated for revisions to the T, N and M descriptors and categories, and the resultant TNM Stage groupings. The proposals the T descriptors have been published . Size continues to be an important determinant and will become a descriptor for all of the T categories from T1 to T4 inclusive. The T size cut points of the 7th edition will be retained, vis 2, 3, 5 and 7 cms, and new cut points at 1 and 4 cms have been proposed. As a result new T categories have been created and others have been reassigned. In addition tumours invading the diaphragm have been reclassified as T4 and tumours extending within 2 cms of the carina, but without invasion of the carina itself, or those tumours associated with collapse or consolidation of the whole lung have been down-staged to T2. The resultant T categories are shown in Table along with the proposals for N and M categories. It is recommended that the N categories of the 7th edition be retained. Exploratory analysis of surgically resected, pathologically classified cases has suggested that the prognostic significance of the anatomic location of involved nodes can be augmented if combined with the number of involved nodes in N1 and N2 locations and the use of this sub-classification has been proposed for testing in the 8th edition . The proposals for the M classification retain the existing category of M1a . The category of M1b has been re-assigned to describe a form of extremely limited "oligometastatic" cases in which there is a single metastatic deposit in one distant organ. A new category of M1c has therefore emerged to describe the commoner situation in which there are multiple metastases in one or more distant sites. The resultant T N M Stage groupings, derived from recursive partitioning and amalgamation analyses were refined by the committee by study of their statistical features and clinical relevance and are shown in Table. As in the 7th edition the IASLC Staging and Prognostic Factors Committee have attempted to resolve some issues in which data is limited by review of the literature and by consensus. These include how one should assess tumour size in the small tumours of mixed density increasing common when evaluation CT screen detected cancers. The committee's recommendation is that it should be the solid element on imaging, or the invasive component on pathological examination which should be measured to determine T size . 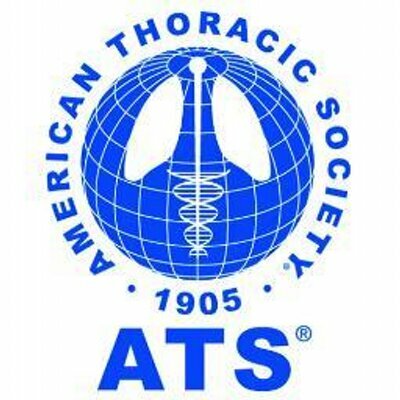 In a series of articles the committee has given advice as to how one should classify the various scenarios in which multiple tumours are discovered in the lung(s) . The IASLC has submitted all of these proposals to the Union for International Cancer Control (UICC) and the American Joint Committee on Cancer (AJCC), the 2 bodies that regulate the TNM classification for all tumour sites globally. The 8th edition is due to be published this Autumn. The IASLC will have extensive educational products available to attendees at the 17th World Conference on Lung Cancer, to be held in Vienna from the 4th to the 7th of December 2016. Involves main bronchus regardless of distance from the carina, but without involvement of the carina. Tumour more than 3 cm but not more than 4 cm in greatest dimension. Tumour more than 4 cm but not more than 5 cm in greatest dimension. Tumour more than 5 cm but not more than 7 cm in greatest dimension, or directly invades any of the following structures: chest wall (including parietal pleura and superior sulcus tumours), phrenic nerve, parietal pericardium; or associated with separate tumour nodule(s) in the same lobe as the primary. 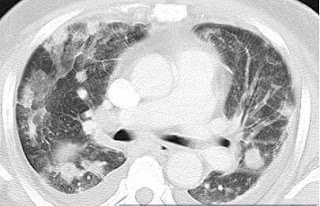 Tumour more than 7 cm in greatest dimension, or invades any of the following structures: diaphragm, mediastinum, heart, great vessels, trachea, recurrent laryngeal nerve, oesophagus, vertebral body, carina; or associated with separate tumour nodule(s) in a different ipsilateral lobe to that of the primary. No regional lymph node metastasis. Metastasis in contralateral mediastinal, contralateral hilar, ipsilateral or contralateral scalene, or supraclavicular lymph node(s). 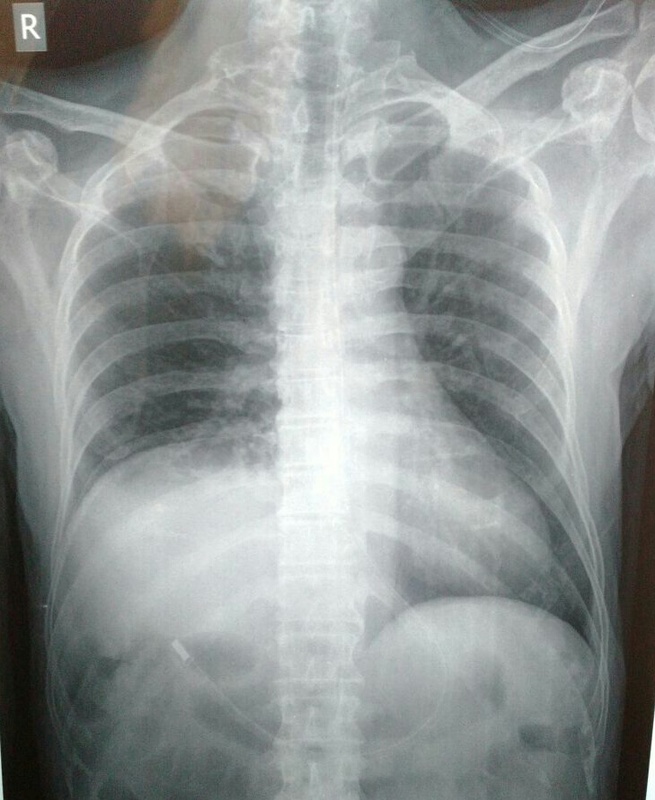 Multiple extrathoracic metastases in one or several organs. 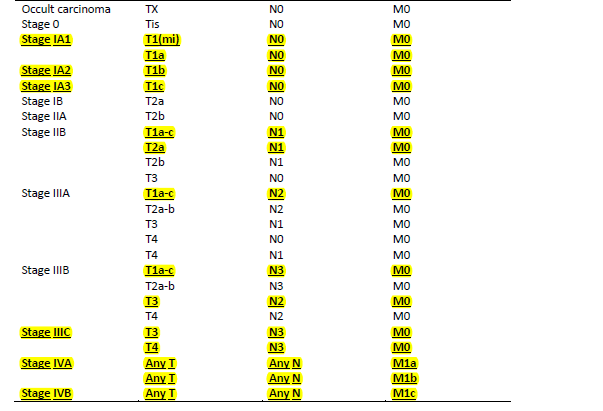 Proposed Stage Groupings for 8th edition of TNM for Lung Cancer (changes to the 7th edition are highlighted in yellow, bold and underlined). The American College of Chest Physicians (CHEST) and the American Thoracic Society (ATS) have published new guidelines for discontinuing mechanical ventilation in critically ill adults. 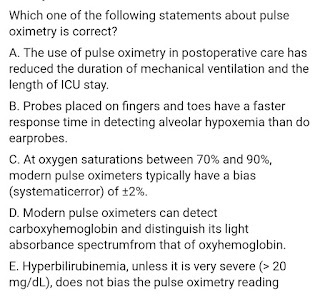 The goal of the guidelines is to help physicians and other health care professionals determine when patients with acute respiratory failure can breathe on their own and to provide clinical advice that may increase the chances for successful extubation. The benefit of a fixed-dose inhaled corticosteroid (ICS) and long-acting beta-agonist (LABA) combination in reducing exacerbations of chronic obstructive pulmonary disease (COPD) far outweighed any risk for pneumonia in a post hoc analysis of the 48-week FORWARD study. 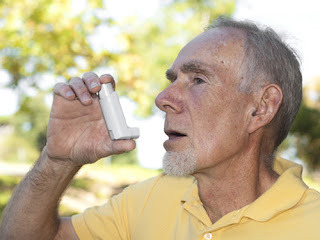 Although there were 13 extra pneumonia events when a fixed-dose combination of beclometasone diproprionate and formoterol fumarate (Foster, Chiesi Farmaceutici SpA) was used as compared to formoterol fumarate alone, there were 123 fewer moderate to severe COPD exacerbations over a 342-day analysis period. The FORWARD study was a two-arm trial designed to compare the efficacy and safety of fixed-dose treatment with beclometasone diproprionate and formoterol fumarate versus formoterol fumarate alone in 1,199 patients with severe COPD. For inclusion in the study, patients had to have a post-bronchodilator forced expiratory volume in 1 second below 50% of predicted and a forced vital capacity ratio of less than 0.7. They also had to have a smoking history of 10 pack-years or more, and a history of at least one COPD exacerbation in the previous 12 months that had required treatment or hospitalization (Eur RespirJ. 2013;41:12-7). After a 2-week run-in period, where all patients received a 24-mcg dose of formoterol fumarate, patients were randomized to continue treatment with formoterol fumarate or to receive the fixed-dose combination of beclometasone diproprionate 400 mcg and beclometasone diproprionate 24 mcg for 48 weeks. A total of 1,186 patients, most of whom were male (69%) with a mean age of 64 years, formed the intention-to-treat population. Published results (Respir Med. 2014;108:1153-62) showed that the combination of the ICS beclometasone diproprionate and the LABA formoterol fumarate (Chiesi Farmaceutici SpA) was associated with a 28% reduction in the annual rate of moderate to severe exacerbations versus the LABA alone. The adjusted rate of exacerbations per patient per year was 0.80 in patients treated with the ICS/LABA combination versus 1.12 for those treated with just the LABA, with an adjusted rate ratio of 0.72 (P less than .001). The published data also showed that pneumonia was reported by 23 patients (3.8%) treated with the ICS/LABA and by 11 (1.8%) treated with the LABA only. For the new analysis, pneumonia and COPD exacerbations were looked in more detail, plotting out the cumulative number of events over time and also characterizing the types of pneumonia in more detail. 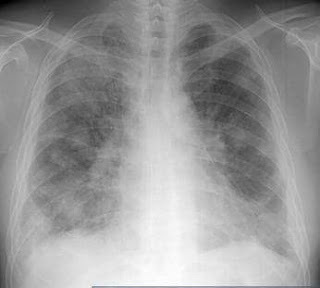 All patients had a chest x-ray to confirm the presence of pneumonia, he said, there were 35 cases of pneumonia, 24 occurring in patients treated with the fixed-dose beclometasone diproprionate and formoterol fumarate combination and 11 in patients treated only with formoterol fumarate. Of these cases, 25 required in-hospital treatment – 16 patients in the ICS/LABA arm and 9 in the LABA-only arm. There were three instances of patients acquiring pneumonia in hospital – two in the ICS/LABA and one in the LABA-only arm. There were also two fatal cases of pneumonia – one in each treatment group. Neither were thought to be related to either of the treatments.